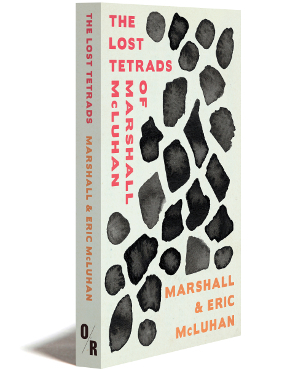 Dr. Eric McLuhan, co-author (with Marshall) of "The Lost Tetrads"
Besides co-writing Laws of Media in 1988 and working closely for many years with his father, Dr. Eric McLuhan has been deeply involved in exploring media ecology and communications. He is the author of more than a dozen books on media, perception, and literature. Currently, he is director of Media Studies and lectures at The Harris Institute for the Arts in Toronto. His website is ericmcluhan.com.